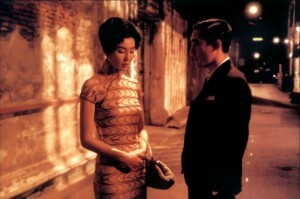 The Double Negative » Biennial Fringe Culture Diary: Available In Print & Download Now! Welcome to a special Biennial Fringe edition of Culture Diary: your indispensable pocket guide to a wide range of alternative events across Liverpool, happening at the same time as Liverpool Biennial 2016 festival of contemporary art. Download now! Here you’ll find our personal selection of just some of the many independent exhibitions, screenings, gigs, performances, symposiums, mini-festivals and happenings — hosted by individuals, collectives, small artist-led spaces and big organisations alike – throughout the city. But there will be many, many more springing up over the next 14 weeks. 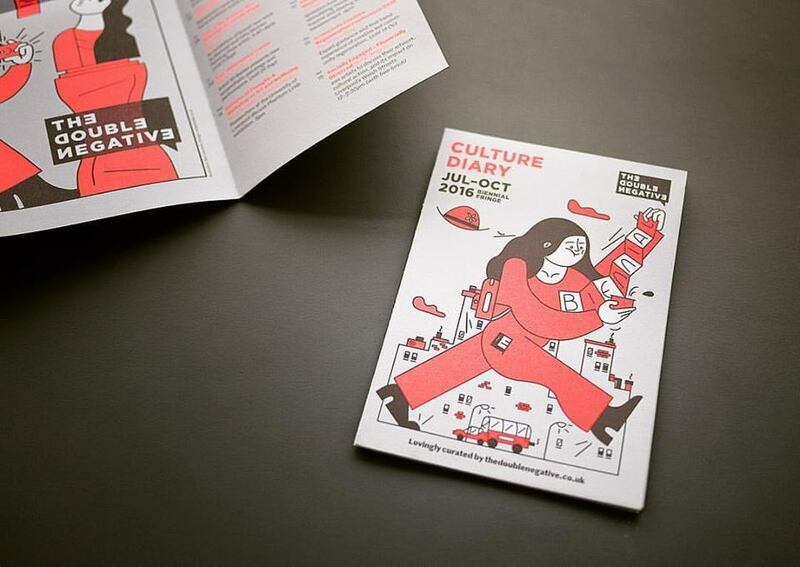 Distributed in pocket-sized print at carefully selected bars, cafes, galleries and theatres, you can pick up one of 8,000 free Culture Diaries through July-October 2016, in Liverpool city centre (including the Baltic Triangle), South Liverpool, Wirral, Chester, St Helens, Sefton, Manchester, Leeds and Sheffield. Working with designer Mike Carney and illustrator Sam Garroch, and kindly sponsored by Biennial, Contemporary Visual Arts Network North-West (CVAN NW), Victoria Gallery and Museum at the University of Liverpool, and Cass Art (thank you so much! ), we’ve come up with a simple, high-quality, fold-out guide to Liverpool that will grace any pocket, desk space or fridge door. Printed specially for the busy Biennial festival period, and covering our favourite cinemas, clubs, galleries, festivals, studios and theatres, it’s the perfect reference to the city for you and your friends. Can’t wait to find one in print? 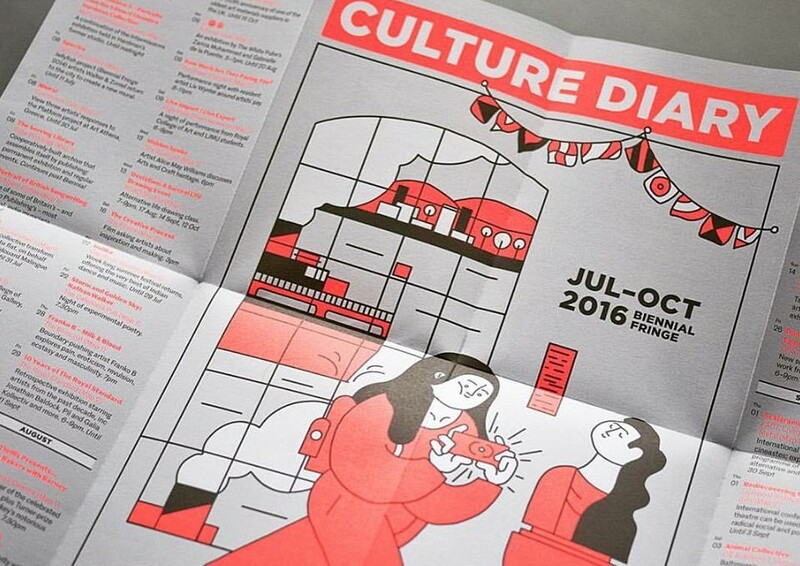 Download the PDF version of Culture Diary right here, right now! 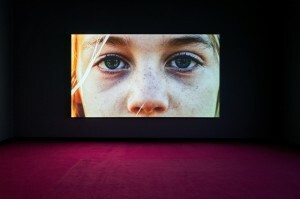 For more in-depth coverage of Liverpool Biennial and the varied, city-wide Biennial Fringe, visit thedoublenegative.co.uk for reviews, features and interviews over the next three months. You can also follow along on Twitter @thedblengtve / #CultureDiary / #BiennialFringe. 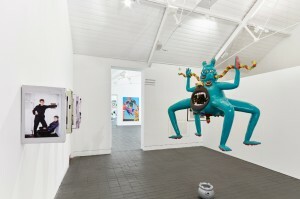 For more information about Liverpool Biennial, visit biennial.com / @Biennial / #Biennial2016. Most importantly though: get out there and enjoy the arts, design, film and music this city has to offer! Hosting your own #BiennialFringe event but missed out on being in print? Use the hashtag so visitors can find you, and email us the details in advance so we can publish it in our weekly, online Culture Diary listings (published every Monday). Share your pictures of the Biennial Fringe Culture Diary with us — we’d love to see them!